Continue reading "All About Barbecue Pit or Fire Pit Cooking"
There are many types of firewood available for fireplace and fire pits. What is the best firewood? Here you can find information about the different types and their uses. Continue reading "What is the Best Firewood?" Continue reading "Types of Outdoor Fire Pit Designs"
Want to know how to start a fire in your fireplace or fire pit? It can be tricky but here are some fire starter tips for getting that firewood lit! 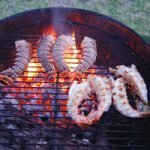 Continue reading "How to start a fire: proper firewood stacking"
Continue reading "Barbeque Grill Recipe Ideas"
Continue reading "All about firewood"
It can be tricky getting firewood lit! Here are some fire starter tips and ideas to get your fireplace or fire pit blazing in no time! Continue reading "Fireplace Fire Starter: How to Get Your Fire Going"
There are several items of campfire cooking equipment you can use depending on what type of camping and cooking you are planning to do. Learn about them and where to get them here. 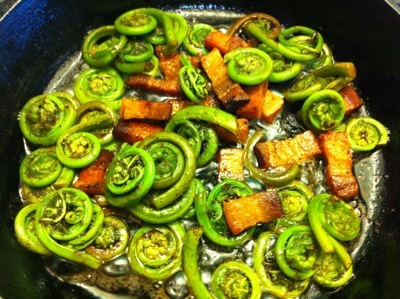 Continue reading "Campfire Cooking Equipment"
This fiddlehead ferns recipe is delicious and can be done on a grill or indoors on your stove. Continue reading "Grilling Fiddlehead Ferns"
Learn about the best fire wood to make your fire do what you want it to do, whether cooking on a fire pit, or warming up by the fireplace in the winter. Continue reading "Best Fire Wood for Cooking, Fireplace and Fire Pits"
Continue reading "Build a Fire Pit: A How-To Guide"
Continue reading "The Whole Pig Roast: All About It"
A whole hog rotisserie makes cooking a whole pig roast over a fire pit much easier. Here are some tips on where to find a pig rotisserie and on how to build one. 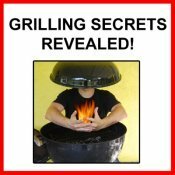 Continue reading "Whole Hog Rotisserie: How to Find or Build One"
Aromatic smoking woods and a smoking box can add a lot to your grill, barbecue or smoker cooking. Learn about how to do it here! Continue reading "Cooking with a Smoking Box and Smoking Woods"
Whole Hog - Where to Buy Them? Continue reading "Whole Hog - Where to Buy Them?" Pork tenderloin is so tender, juicy and succulent when prepared with this apple cider brined barbecue recipe. 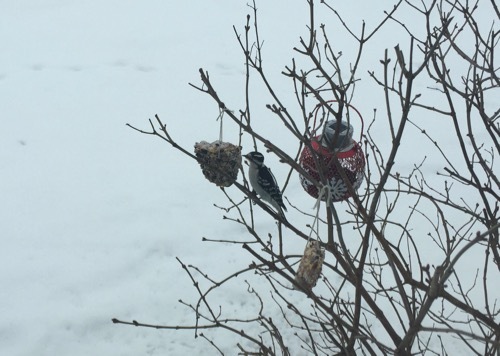 Continue reading "Barbecue Recipe for Apple Cider Brined Pork Tenderloin"
Want to make your own bird seed ornaments that will bring wild birds flocking to your feeders? These are easy to make and birds love them! Continue reading "Tallow Bird Seed Ornaments"
Deer fat isn’t great for cooking. 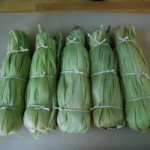 However, you don’t have to just toss all those extra trimmings of fat in the garbage, use them! It is easy to render tallow and make tallow candles. Continue reading "How to Make Tallow Candles"
Want to feed your dog and cat more naturally? Well why let delicious venison scraps go to waste, put them to good use by making venison dog food! Continue reading "Venison Dog Food Recipe"